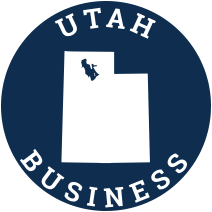 [one_half] We are considered to be at the top of the Utah roofing industry. This is something we are very proud of and know that it sets us apart from our competition in so many ways including product selection, installation quality, financing and warranty options for our customers. We provide roofing services all over Utah, such as Salt Lake City, Park City, Heber, Davis County and Bountiful,Sandy and Draper Utah to name a few. We take pride in focusing on quality residential re-roofs and roofing service repairs. We feel that we are your best value using quality Certified craftsmanship for roofing in Salt Lake City. We have been a family owned business and operated business for over 30 years . We are licensed and insured with general liability and worker's comp for your protection. Between our experience and good business sense we are the number one stop for all of your roofing needs including; roof repair, re-roof, skylight repair and installation, soffit/ fascia installation, ice damming/ heat cable as well as inspections.